Building on my work with the smartphone-focused fieldwork course at Vassar College this past spring, this summer I designed and taught a two-week intensive digital literacy/smartphone summer camp called D-LIT. To read all about our day-by-day adventures, check out our camp blog! The Poughkeepsie Journal ended up doing a piece on D-LIT. “…only 3 percent of the average teen’s digital screen time is spent creating: writing, coding, or making digital art or music, according to Common Sense Media. Most of the time is devoted to watching, listening or reading, playing games and web browsing, or using social media. ‘That’s a very small percentage of a huge amount of time,’ said Mary Ellen Iatropoulos, director of experience at Art Effect. The camp seeks to change that for the middle schoolers. 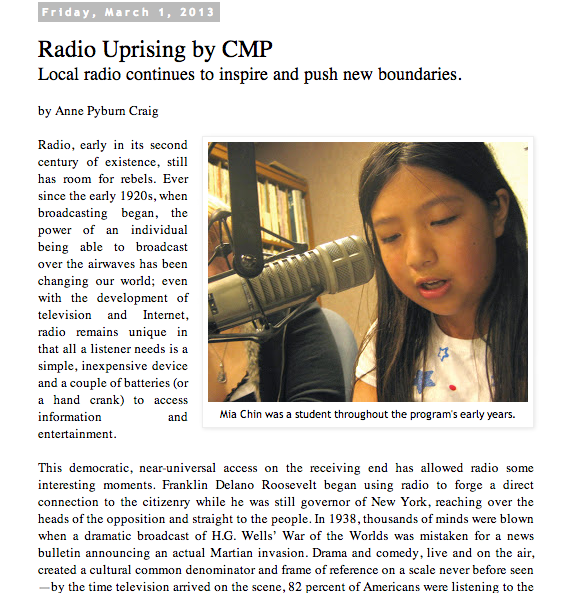 Following an exciting and inspiring few days of attending the REMIX NYC conference with co-workers, I was delighted to see the organizers include a tweet of mine in their capstone newsletter. Glad to be of service, REMIX NYC! Thanks to Wave Farm (formerly free103point9) and NYSCA for sponsoring us! And yes, that is me standing on the radiator. Anything the name of film! “The private party for students will be held after Christmas, and it will feature a student art display and screenings of student videos and films. In addition, 40 students will go home with a gift related to their interest. “One student, for example, is getting a sketchbook and pencils, while another is getting a flash drive to store their digital work,” Iatropoulos said. I’m not sure how this footage from the 2012 Vancouver Slayage Conference ended up in this video listicle, but check out my cameo at 3:30. The Spark Media Project youth-produced film Santa Woman was selected as a finalist in The America I Am youth film fest from the Tribeca Film Festival! 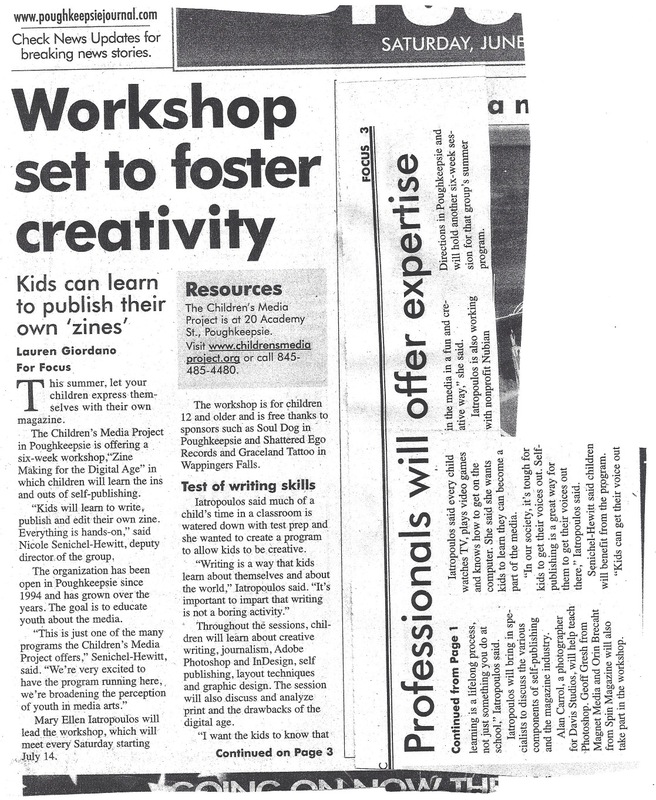 The Poughkeepsie Journal covered the story here. They quote me regarding this tremendous achievement for the youth and for Spark Media Project (screencap below). I found this review of the book I co-edited (Joss Whedon and Race: Critical Essays) and it’s gratifying beyond my wildest writerly dreams. The F.R.A.M.E. program’s partnership with Scenic Hudson resulted in an incredible professional film that’s covered here. Northhampton University (UK) covers the 7th Biennial Slayage Conference On the Whedonverses (it briefly mentions the paper I presented with Dr. Lorna Jowett). I was invited to La Salle University in Philadelphia, PA to give a plenary address as well as give a guest lecture to an undergraduate seminar. Spark Media Project received an award commending the organization for its institutional inclusivity. We’re proud to work with a very diverse group of people and we celebrate our neuro-divergent team members! I had the chance to design a series of Shakespeare residencies in 12th grade ELA classes revolving around adapting the bard’s plays into stop-motion animation shorts. 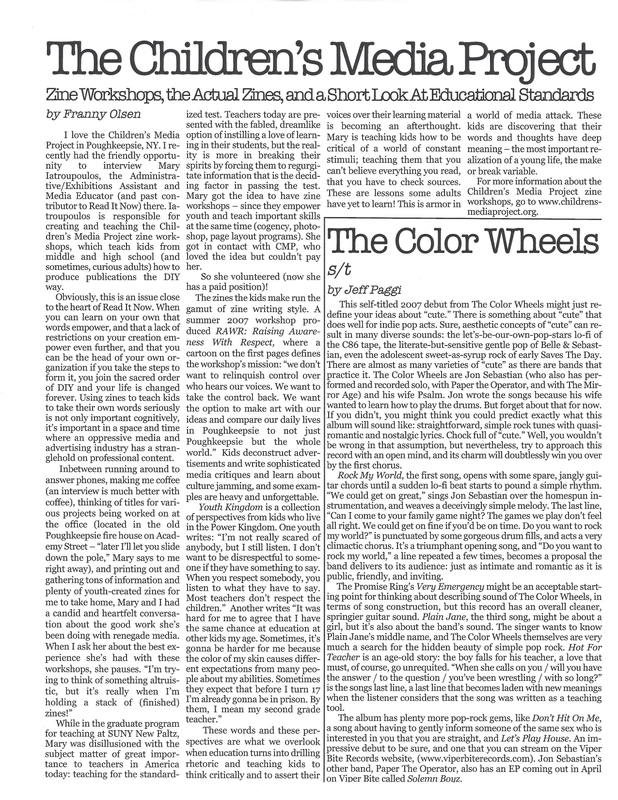 Read the Poughkeepsie City School District’s write-up here. One of my many job responsibilities is managing our internship program, and during the spring 2015 semester, the Health and Human Services Department at SUNY New Paltz recognized my work in developing and shaping their undergraduates’ internship experiences. Hudson Valley News Network covered the ribbon-cutting even officially celebrating the switchover from Children’s Media Project to Spark Media Project. And I got to hold the oversized scissors! Read the write-up and watch the video here. To hear me wax pedagogical over digital media and 21st-Century learning trends, skip to 1:19. 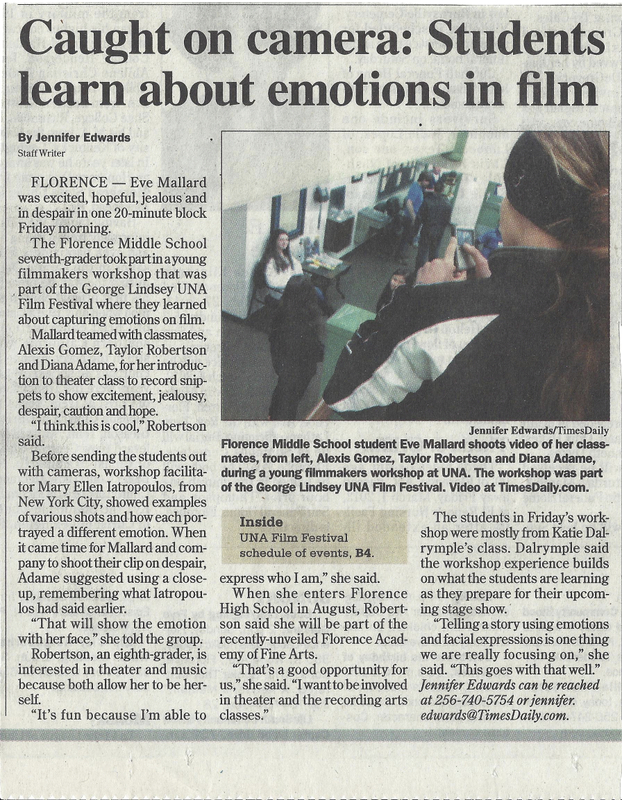 Hudson Valley News Network produced this video about Spark Media Project’s 2014 Reel Expressions International Youth Film Festival (I’m onstage at the Bardavon at 3:30). On a side note, it’s odd and unsettling to think of Spark now under its old name, Children’s Media Project. Feels wrong. I delivered a talk entitled “It’s About Power: Critical Race Theory Across The Whedonverses” as a featured plenary address at the 6th biennial Slayage Conference on the Whedonverses. The below is the journal’s coverage of my speech. Read the rest of the official Slayage conference report here! Read a review of SCW6 by the brilliant Jennifer K Stuller’s write-up here. Vassar’s Miscellany News provided the following writeup of a panel in which I participated, “Diversity In Nerd Culture,”at NonCon 2014. ” . . . we would like to thank you for your participation in the 5th Annual Youth Forum for High School Students. We appreciate the time you spent with the Forum attendees. They really enjoyed the activity on stop-motion animation. You gave the attendees the ability to critique advertising messages and images that could cause stress and you raised their awareness of misleading messages and images that could cause stress and you raised their awareness of misleading messages that often appear in advertisements. — June Ellen Notaro, Director of Division of Youth Services / Noah Merritt, Executive Director of Educational Programs, Dutchess B.O.C.E.S., after a hands-on workshop for over 100 youth on November 20th 2013. 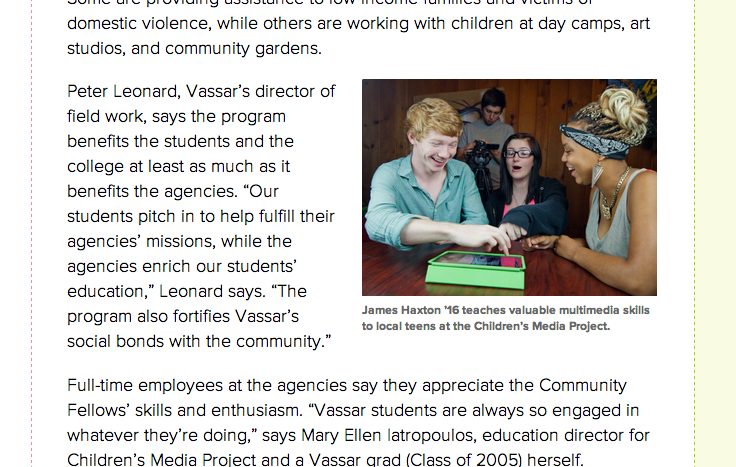 In which I am quoted regarding the benefits the Vassar Community Fellows Program bring to Children’s Media Project and to Poughkeepsie nonprofits in general. Guest Appearance on AM radio show, in which I speak about popular culture’s tendency to trivialize domestic violence and its impact on everyday behavior.